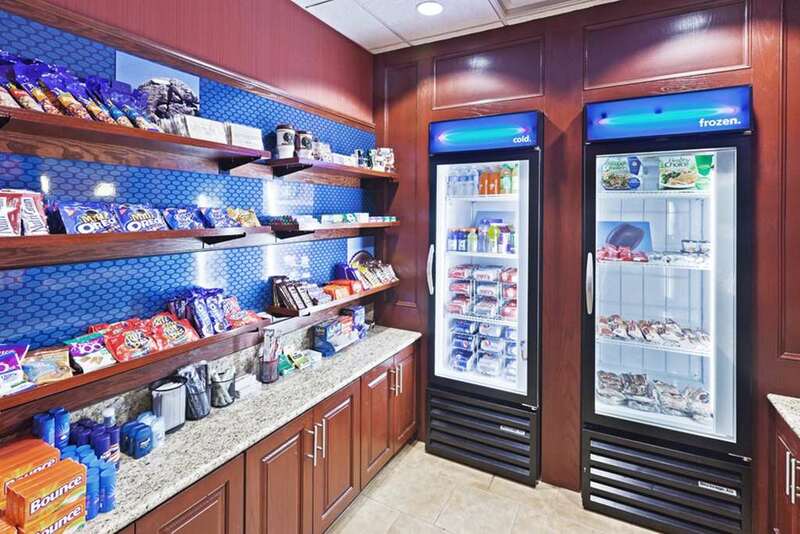 The Hampton Inn - Suites Owasso is another feather in the Hilton Cap. Hampton reigns supreme in consistency of our products and beautiful new 103 room property is no exception. The Hampton Inn - Suites Owasso is a place where discerning travelers can nestle in to our Cloud Nine Hampton Bedding or stay connected with our complimentary wireless High Speed Internet Access. Guests will want to wake up early to enjoy our complimentary On the House hot breakfast which Hampton - Suites has perfected. If your stay is anything less than perfect we*re the only hotel brand that offers unconditional 100 satisfaction Hampton Guarantee. Hampton Inn - Suites Owasso has a magnificent location. We are located in the heart of the Owasso Business District. We are the closest Hampton Inn to the Tulsa International Airport and only 3 miles from the Cherokee Industrial Park. This is the perfect location to conduct business create romance mastermind a shopping spree or host a spectacular meeting wedding or special event. Hampton Inn - Suites Owasso is the ideal setting for wedding-related events special celebrations and business meetings for groups of up to 70. Additionally our private conference rooms are elegant well appointed and suited for small meetings and secluded executive retreats.